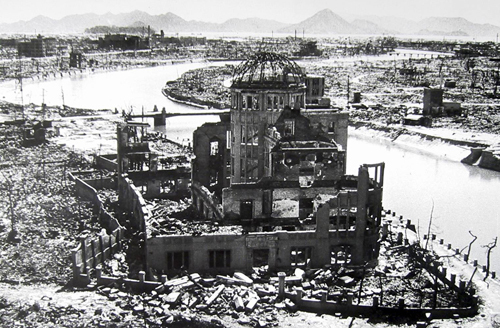 At the University ‘Mediterranean’ on November 16 th , at 12.00 o’clock, there will be organized an event dedicated to the devastation of the Japanese towns Hiroshima and Nagasaki caused by atomic bomb. The event is a part of the campaign for promotion of peace and nuclear weapon abolition. On that occasion Director of Memorial Museum of Peace, Hiroshima (Peace Memorial Museum, Hiroshima) will pay a visit to University ‘Mediterranean’, as well as Mr. Sadao Yamamoto, one of survived victims, who will share some of his experiences from that period with the audience. The lecture will be held in the room number 102, on the first floor. Mister Sadao Yamamoto was born in 1931, he was 14 when an atomic bomb fell on Hiroshima on August 6, 1945. He was located some 2.5 kilometers from hypocenter when the bomb exploded. Since then he becomes and advocate for abolition of nuclear weapon by delivering lectures and witnessing about the event from that period. 1970 he conducted the first performing of Requiem for men’s chorus, composed in honor of the pupils of the first grade of the secondary school that were all killed when the bomb exploded. Since then, the requiem is performed every year. Mister Kenju SHIGA, Director of Memorial Museum of Peace, Hiroshima. Twelfth in a row director of this museum unique in the world, Mister Shiga is the second generation of the atomic bomb survivors (hibakusha). Through an international campaign “Peace Mayors” he does intensified activities regarding peace promotions and nuclear weapon abolition on global level.